Premise Media, the production company that produced the creationist pseudo-documentary “Expelled“, has gone bankrupt and is putting the film up for auction. The opportunity having presented itself, the TalkOrigins Archive Foundation is making a run at acquiring it. Getting the rights to the film and related production material (unedited interviews of scientists etc.) could be an invaluable source of ammunition in the defense of science education against the attacks of intelligent design creationists, so if you’re able please consider making a donation to the Foundation (if the bid is unsuccessful your money still goes to a worthy cause) . Update: TalkOrigins lost the biding war. Oh well, it would have been interesting. 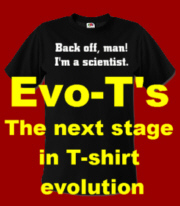 This entry was posted in Antievolution, Creationism, Defending evolution, Education, Intelligent design, Science in the media and tagged Creationism, Expelled, Intelligent design, Talk Origins, Talk Origins Archive Foundation. Bookmark the permalink. 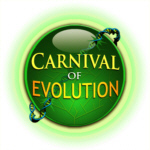 ← Evolution is fish giving birth to frogs?